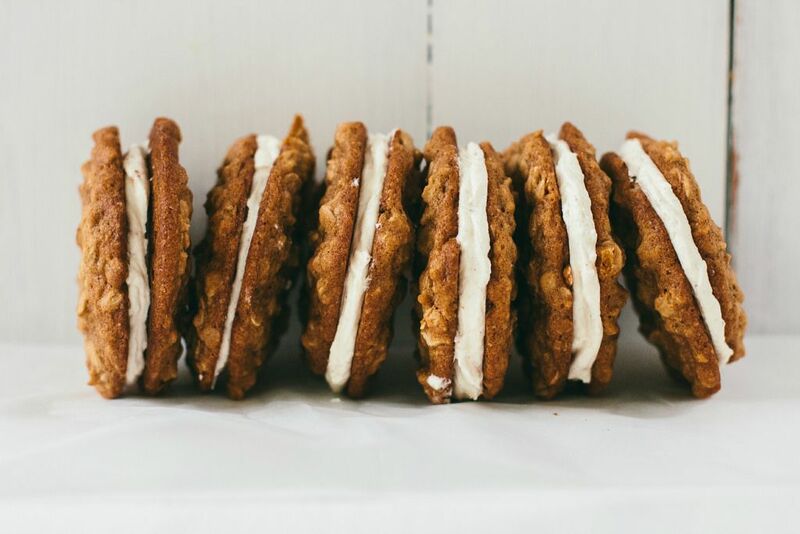 Today: Sarah Kieffer of The Vanilla Bean Blog makes a grown-up version of oatmeal cream pies that would make Little Debbie proud. Pack them up for your next road trip and bring on the childhood nostalgia. Growing up, our summer family vacations consisted of long car rides to the splashiest spot on earth: Wisconsin Dells ("The Waterpark Capital of the World"). We would all pack in our tiny car, my siblings and I smashed together in the back seat. We'd spend the next four hours jabbing each other with elbows and knees, mapping out what water slides we’d hit first, laughing hysterically, and eating piles of treats my Dad packed in the back. There was something about a car trip that brought out the junk food junkie in my father -- he would buy a whole grocery bag full of boxes and bags from the food aisle my mom skipped over on a weekly basis. Chips, cheesy crackers, donuts, cans of soda, seven kinds of cookies, and oatmeal cream pies. My sister, brother, and I were in heaven, devouring snacks while my mom groaned from the front seat. More: These snacks taste even better on the road. 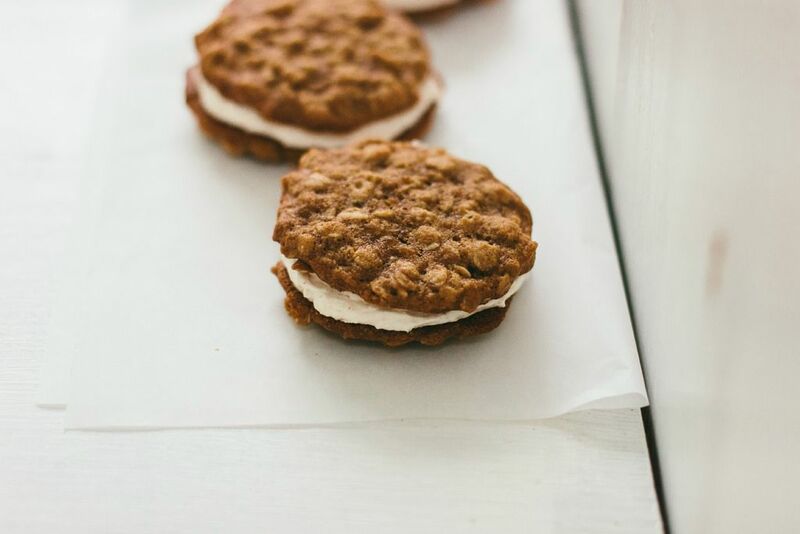 The oatmeal cream pies were a personal favorite. They were so much more than just cookies: The base was tender and spicy, the filling so sweet and comforting. Each vacation I savored every bite, knowing it would be a whole year before I had them again. It’s been a long time since my last oatmeal cream pie (and my last trip to Wisconsin Dells), but the craving hit recently, and so I decided to make my own. I strayed from the typical recipe -- the cinnamon-spiced cookie with a marshmallow fluff filling -- and decided to go for a more adult version instead. These cookies don’t have any spices -- it's bourbon and molasses that give them an almost butterscotch flavor. The filling is straight up buttercream, but I used browned butter for a rich, nutty flavor. The resulting sandwich cookies are rich and indulgent -- perfect for a special occasion (or a long car ride). I might just pack them on our next family trip. Preheat the oven to 350° F and line three half sheet pans with parchment paper. In a medium bowl, whisk together the flour, baking soda, and salt and set aside. In the bowl of a standing mixer, beat together the butter and sugars until light and fluffy, 3 to 5 minutes, then add the molasses and beat to combine. Next, beat in the eggs, scraping down the sides of the bowl as needed. Mix in the bourbon and the vanilla. Add the flour mixture to the butter mixture and mix on low speed until they're completely incorporated. Add the oats and mix on low to combine, then use a rubber spatula to make sure everything is incorporated. 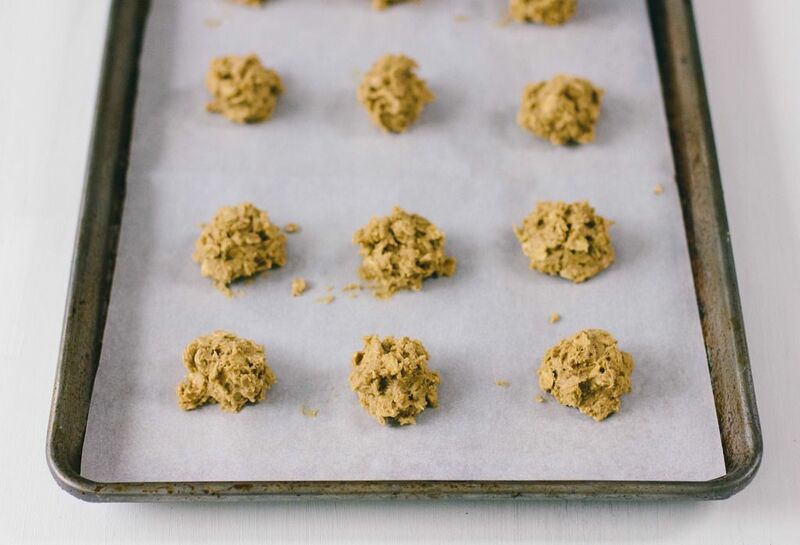 Using a heaping tablespoon, scoop the dough onto the prepared baking sheets (I fit 3 cookies across and 4 down). Bake the cookies for 8 to 12 minutes, until the edges are golden brown and the center is set. Remove the cookies from the oven and let them cool completely on a wire rack. 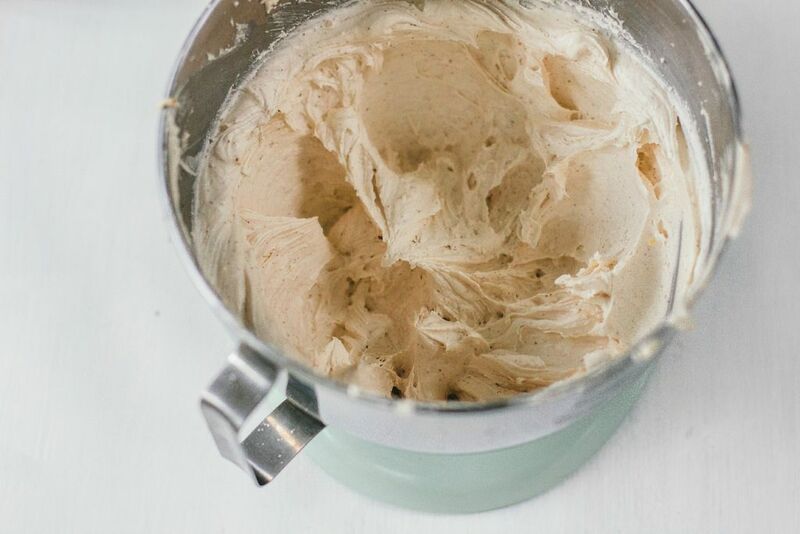 To make the buttercream, start by melting 1 cup (2 sticks) of the butter in a medium-sized saucepan. You need to stay close to the pan; don't walk away from it. Swirl the butter around until it starts to brown; it will smell nutty and you'll see little brown bits at the bottom of the pan. Remove the pan from the heat, then pour everything into a freezer-safe bowl, and let it cool for 10 minutes. Once the butter is partially cool, place the bowl in the freezer and chill the butter until it's solid, about 30 minutes (you can also put it in the fridge to cool down, but it will take a bit longer). When the butter is solid (but not yet frozen! ), take it out and place it in the bowl of a standing mixer. Add the remaining stick of butter to the browned butter and beat it all together until it's light and fluffy, 3 to 5 minutes. Stop the mixer and add the heavy cream, vanilla, and salt, and beat to combine. Slowly add the powdered sugar on low speed. Once it's incorporated, increase the speed to medium and beat the frosting until it's smooth and fluffy, 4 to 6 minutes. More: If your powdered sugar frosting isn't perfect, Alice Medrich has 3 tips for how to fix it. 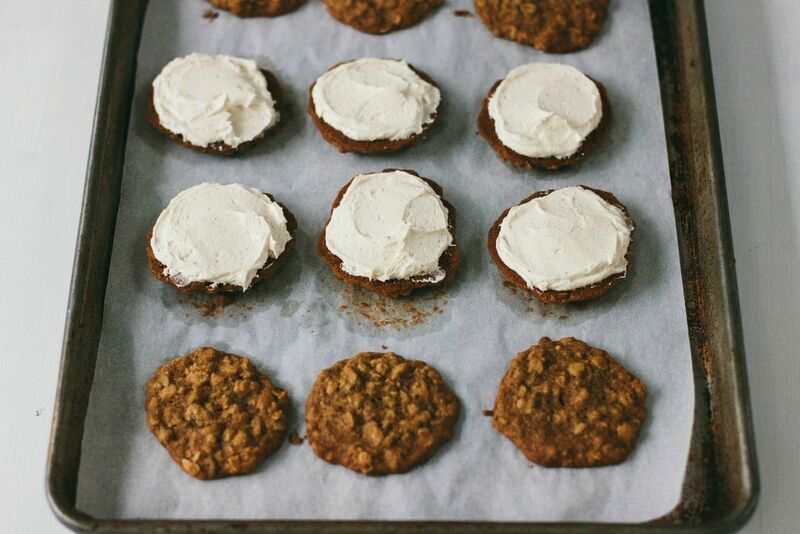 When the cookies are cooled, place the brown butter cream on the bottom side of one cookie, and top with another. Put on as much cream as you'd like. A baker's soliloquy. You can follow along at thevanillabeanblog.com. Made these for the first time on Friday as dessert for the beach. Made a 7 minute frosting instead of the buttercream because there was no room in the cooler. My entire family loved them! I will definitely make them again. Also wondering what would be a good alternative for the bourbon. The secret to the store bought version is ground up raisins in the dough. It's a great trick to make them taste like the originals. Sounds great.... do you think I could omit the bourbon? I made these today and they are decadently delicious. I was thinking I should store them in the fridge yet you recommend taking them on a road trip. With all that butter and cream, I'm thinking that car better have great air conditioning! Yes! I would pack them in a cooler. :) I'm so glad you liked them! The story is as good as the recipe. I also have fond memories of family road trips and the Wisconsin Dells. These have always been a favorite, I am so glad I found this grown up version. Thanks Sarah!